My guest this week has written a memoir of life as an international concert oboist, juxtaposed with a parallel narrative of a precarious and troubled personal life. I first came across her on The Literary Hub, where she wrote about how she left the very worst experience of all out of that book. 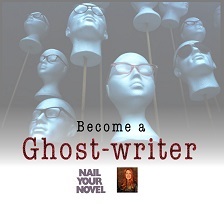 It was so haunting that I contacted her and asked if there was any way she could write a piece for this series. She has, and the result is a trip through music that has helped her remember, or dredge up the times she preferred to forget, and moments when music helped her make life choices because of the clarity and discipline of playing. Stop by the Red Blog for the Undercover Soundtrack of Marcia Butler. My guest this week has earned plenty of praise for her first two novels and I’m thrilled to have her here as she launches her third. Her post is a thoughtful, intense journey through the backstage emotions of creating a book. The novel is set in 1969 and 1970, but interestingly she didn’t listen to the hits of the time. Instead she chose tracks that let the characters tell her what experiences they were living – a rich mix of The Smiths, The Beatles, Crowded House and Amy Winehouse. The book’s title – Cruel Beautiful World – dropped out of a lyric one day. She is NYT bestselling author Caroline Leavitt and she’s on the Red Blog with her Undercover Soundtrack. My guest this week might be familiar to you. 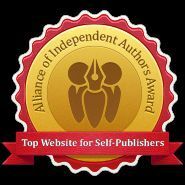 I featured Claire Scobie a few months ago in a story about crowdfunding, when she was campaigning on Unbound to get her novel The Pagoda Tree published. I’m thrilled to say she hit her targets, and I went to the launch a few weeks ago in the very beautiful Daunt’s Bookshop in Marylebone. While her supporters chatted under its high glass roof, a violinist sat in the gallery and played sweeping, sultry traditional Indian music – the kind of music the novel’s protagonist would have heard as part of her daily life. Needless to say, it’s the kind of music Claire listened to as she wrote the story, about a temple dancer in Tamil Nadu in the 18th century. But Claire’s Undercover Soundtrack also includes some unexpected modern touches from James Blunt and Adele. Anyway, do drop by the Red Blog for her post. This week’s guest first conceptualised his novel to the sound of the sea. Waves on rocks, rain against a hood. On a visit to a sea shanty festival, it took a firmer shape as he walked through the streets, hearing snatches of songs about love and loss. It became a novel about people struggling with grief and trying to make sense of it, catalysed by the spacey loops of ambient composers such as William Basinski, and the fragile otherworldliness of Ravel and Debussy. I listened to the entire set early one morning and it was like being pulled into a wild, melancholy dream. He is 2016 Man Booker nominee Wyl Menmuir and he’s on the Red Blog with his Undercover Soundtrack. My guest this week says her novel is steeped in music – and indeed had a massive Spotify playlist to accompany her drafts and rewrites. But certain tracks stood right out, tracks that seemed to catch her attention from the radio, or stick in her mind with an essential flavour of the characters and story. They’re strong vocals – Van Morrison, Rihanna, The Lumineers, Adele. Powerful, sassy, feisty, rocky, tormented and brimming with humanity – and perfect for her novel of obsessive revenge after love goes wrong. 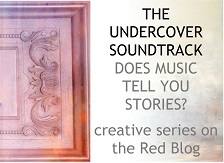 Do drop by the Red Blog for the Undercover Soundtrack of Stephanie Gangi. My guest this week has set herself the task of reimagining the Trojan War and she says she couldn’t have done it without music. Her soundtrack has a stirring, epic scale with storming emotional keys, from Florence + the Machine to Thomas Tallis. More intimate pieces by Amanda McBroom and Esthero illuminated the interior lives of her Cressida (renamed Syd) and Cassandra (Cas). She is also a much-decorated writer of short stories and the editor of two cultural journals, Easy Street and The Lascaux Review. Drop by the Red Blog for the Undercover Soundtrack of Camille Griep.